Costco – The warehouse retailer reported quarterly profit of $2.08 per share, six cents a share above estimates. Revenue also beat forecasts. Costco’s stock is being pressured by a drop in profit margins, however, sparking concerns about an escalating grocery price war. Yum China – The company fell four cents a share shy of estimates, with adjusted quarterly profit of 52 cents per share. The China-based restaurant operator did see revenue and comparable-store sales come in above forecasts. The gain in comps were led by improvement at the company’s KFC restaurants. Separately, the company announced that CEO Micky Pant will become vice chairman in March, with Chief Operating Officer Joey Wat taking over as CEO. Walt Disney – Disney and cable operator Altice finalized their distribution that will keep Disney and ABC cable networks, as well as ESPN, on Altice’s systems. The two sides had announced a tentative agreement earlier this week. Citigroup – The bank is mulling the idea of a China-based cash equities business, as well as expanded coverage of Chinese stocks, according to a Reuters interview with Citi’s regional equities unit chief Richard Heyes. Johnson & Johnson – J&J and its partner Bayer halted a phase three study of its clot prevention drug Xarelto for use in preventing stroke and embolism in certain patients. The study showed no improvement compared to patients treated with low-dose aspirin. HP Inc. – HP’s $1.1 billion deal to buy Samsung’s printer business was approved by China regulators, with some restrictions. Regulators say HP cannot buy stakes in certain other printer manufacturers in China, as well as imposing other limitations. HP expects the acquisition to close before the end of the year. 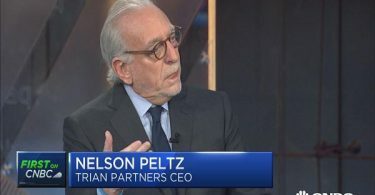 Procter & Gamble — Nelson Peltz’s nomination to the P&G board won the support of CalSTRS, with the teachers’ pension fund saying it felt the addition of Peltz to the board is best for the consumer products giant. The company’s annual meeting and the voting for the election of directors take place next week. Switch – Switch will begin trading today on the New York Stock Exchange after pricing its initial public offering at $17 per share, above the expected $14 to $16 range. The offering for the data center company raised approximately $531 million and values the company at about $4.2 billion. AbbVie – AbbVie was ordered by a jury to pay more than $140 million in a case involving the company’s testosterone replacement drug AndroGel. The plaintiff claimed AbbVie misrepresented the risks and that the drug caused him to have a heart attack. AbbVie said it was disappointed with the verdict and intends to appeal. Honeywell – The industrial conglomerate is pursuing an acquisition of water filtration company Evoqua Water Technologies, according to The Wall Street Journal. Evoqua is owned by private-equity firm AEA Investors, and has been seeking a sale and preparing for an IPO simultaneously. 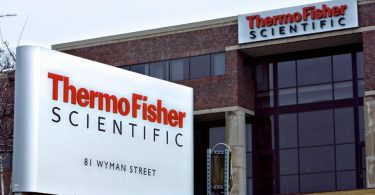 Kraft Heinz – The food maker was upgraded to “overweight” from “neutral” at Piper Jaffray, which expects the company to pursue further acquisitions in the packaged food area. Helen of Troy – The maker of personal care products reported quarterly profit of $1.65, beating estimates by 30 cents a share. Revenue also exceeded forecasts, however it cut its full-year forecast due to the costs of a planned restructuring. Navistar – The truck maker’s stock is rising on the heels of better-than-expected truck sales as well as bullish comments by an analyst at Jefferies.